Flavorful chicken with a hint of sweetness. In a self-sealing plastic bag, combine the wine, vinegar, preserves, soy sauce, honey and mustard. Add the chicken pieces and mix well. Marinate in the refrigerator for 4 to 6 hours. Place the chicken and marinade in the inner cooking pot. Close the lid securely and set the steam vent to "Closed." Set to High pressure and cook for 10 to 12 minutes. Release the pressure and remove the lid. Serve while warm, spooning the sauce over the chicken. Serves 4. Watch our YouTube video of this amazing small appliance that really will change the way you cook! You will LOVE their Facebook page, where they provide recipes and ideas for new ways to cook food . . . like cake . . . made in a RICE COOKER! Very creative!! 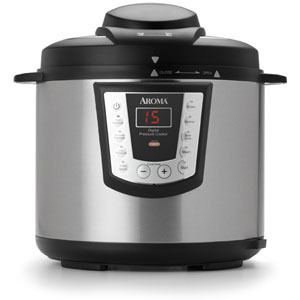 MamaBreak received the above pressure cooker to review here on the website. We did not receive any other type of compensation. As always, our opinions and experiences are our own. That chicken looks incredible! I am going to have to steal this recipe to make for dinner next week. 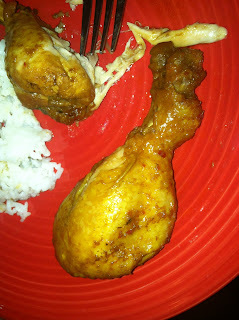 I never thought to cook chicken like this, not sure why, but it looks like it comes out so tender and juicy.